SCN or CVN coding was added to the cars back in 2003 if not earlier . The idea of OFFLINE coding was to be able to make SCN codings when you don’t have an internet connection at your workshop to be able to perform this online. In both cases an SCN or CVN coding was required. Let’s not confuse OFFLINE coding with simple CODINGS ! Codings can be done with regular DAS or Developer DAS more deeply. Coding does not imply that you have to replace your unit software completely. If you have to make an Offline coding this implies to flash your unit with an updated software version or at least the same version which you have already (not sure if you will be able to downgrade your software) and then SCN code that one to be activated in your car. 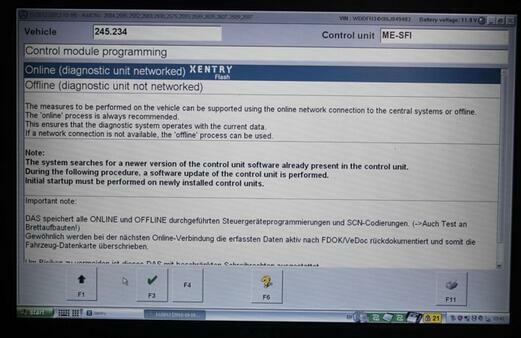 I’m not aware of any car which can be OFFLINE coded without the request for an SCN code. The only good point here is the time needed to do this. Yes , you can make OFFLINE coding with your system and then go back to the dealer and ask them to make an SCN coding for you…however are u sure they will not charge you the same amount as if it was done in their workshops ? – position 9 is a check digit and the tenth digit comes from the model year. 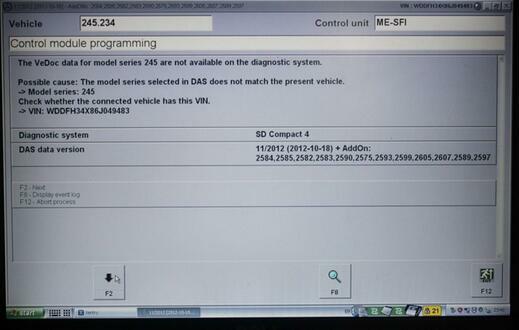 It is much easier to find this if you enter the external VIN to EPC and let it decode the internal VIN for you. Then pick up digits 4-9. Noe that: For those with Star Diagnoses for 100usd around. DAS is your way to go. If you set it up correctly, you can program offline in DAS only. 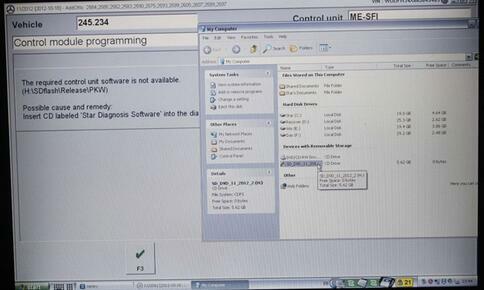 Then if we need to go online with DAS we switch the modified flash folder to the original. Xentry there is no offline programming, only online. Obviously, you need to have login and pass to go online. 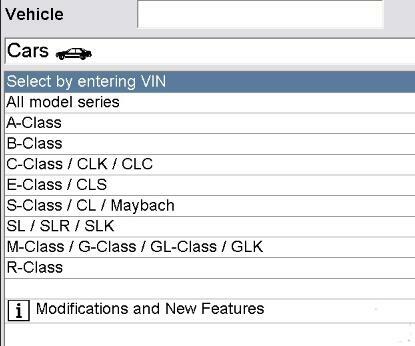 if you not have this function for any concrete car – check first six VIN digits for this car, and add to this file in model section. NO ONE HOLDS RESPONSIBILITIES FOR YOU. Though the DAS 2012.11 version is kind of old, this is the one we highly recommend. It has been tested for thousands of times on vehicles, verified to work definitely. And it also can be come with the full package V2012.11 MB SD Connect C4 with DELL D630 laptop, very convenient for customer who do not have DELL D630 laptop or do not know how to install software correctly. This will save a lot of time for urgent needs. That is, users can directly use this set for offline programming when they receive the package (including setup offline mode in old DAS software) and open the function. But they need set up WIFI and Lan cable connection by themselves if wanna do online programming. 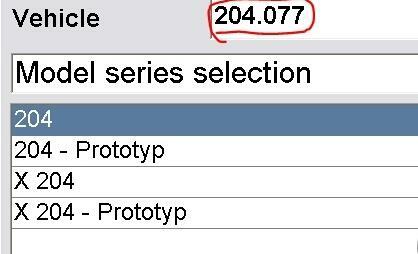 DAS 2012.11 is the best solution for old cars before 2010. You can use the latest version 07.2018 or 09.2018 Xentry system for the old and new cars. 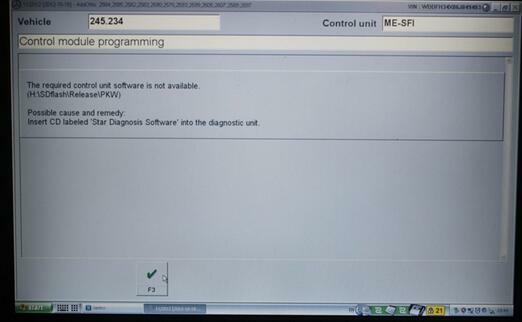 This entry was posted in Car Diagnostic Tools, MB STAR and tagged mercedes star, Mercedes Star Diagnostic, star diagnoses, star diagnostic, star tool, stardiagnos, stardiagnosis, starscan tool, xentry. Bookmark the permalink.